The Vietnamese futsal team have been drawn in Group C in the Asian Football Confederation (AFC) U20 Futsal Championship 2019 finals, the AFC announced on Thursday. The team will take on Japan and Tajikistan. 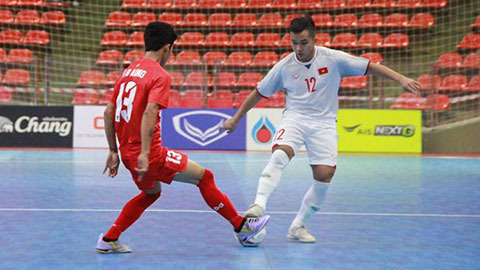 The group will be a repeat of the AFC U20 Futsal Championship 2017 finals where Việt Nam faced both Japan and Tajikistan. During that tournament, Việt Nam lost to their Japanese rivals 3-1 and enjoyed a 4-2 victory over Tajikistan. Group A includes Iran, Afghanistan, and China’s Hong Kong, while Group B consists of Thailand, Lebanon and Kyrgyzstan. Iraq, runners-up in the 2017 AFC U20 Futsal Championship, will play Indonesia and Chinese Taipei in Group D.
The second edition of the AFC U20 Futsal Championship will be held in Iran’s Tabriz city on June 14-22. The teams will play in a round robin tournament to decide the top two teams from each group, who will then advance to the quarter-finals. The Vietnamese squad will convene in mid-May, after the conclusion of the first leg of the 2019 HDBank National Futsal Championship.